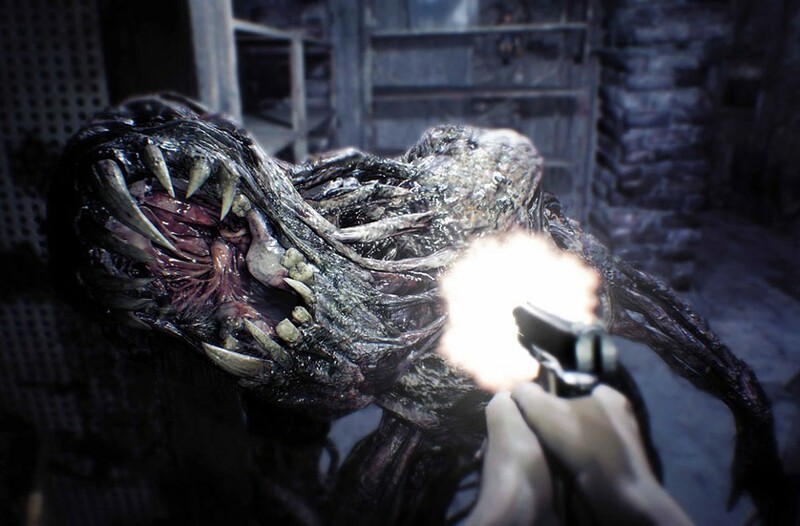 Game Review: Resident Evil 7 Biohazard | Arts and Culture | Style Weekly - Richmond, VA local news, arts, and events. One of gaming's original haunted houses is still grimy after all these years. 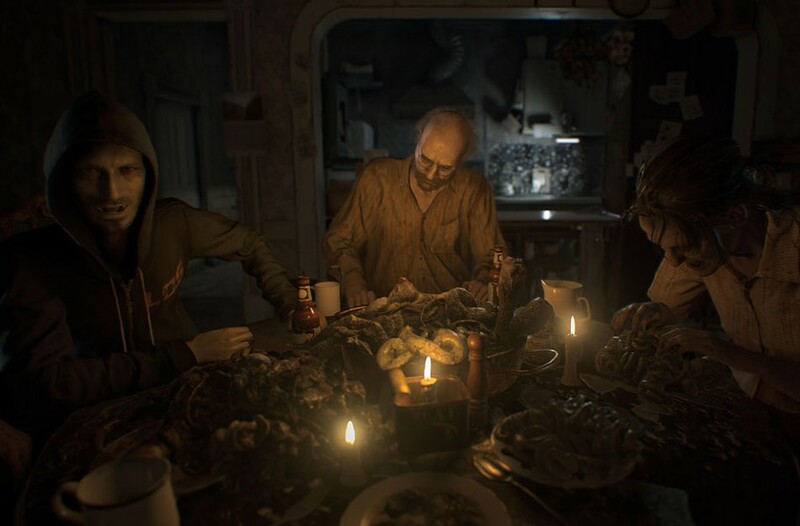 Capcom In Resident Evil 7, the player must escape a rotting Louisiana plantation, home of the mutated Baker family. It's amazing that Resident Evil, a game series that debuted more than 20 years ago, has continued to reinvent itself in such a surprising fashion. I'll cop to being a fan of this bizarre and sometimes floundering franchise with no shame. The only console entry I haven't played is the Game Boy Color's rare, "Resident Evil Gaiden." I've been there for the highs (“Resident Evil 2”) and lows (“Resident Evil 6”). I've even gleefully eaten up the flaming train wreck that is the movie series. So that adage rang true going in: Hope for the best and prepare for the worst. I was pleasantly surprised when the debut trailer for the next numbered entry at last year's E3 indicated that perhaps Capcom again would be shaking up the formula with an emphasis on realism and a move to a claustrophobic first-person view. The series had been mired in the action-packed yet increasingly tired conventions established by 2004's groundbreaking "Resident Evil 4." While that game set a high bar for the franchise, each new release in a similar vein was met with a feeling of diminishing returns. 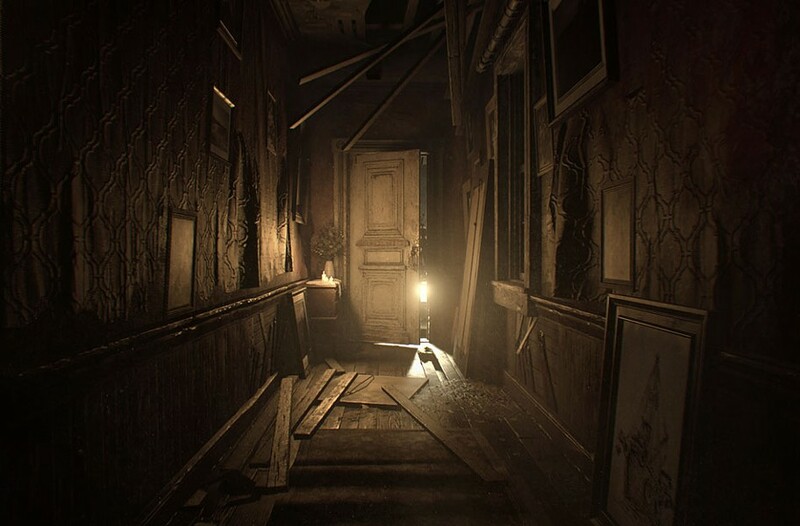 I'm happy to report that if “Resident Evil 7 Biohazard” is the ground floor for the next couple of entries, we're in for a tense and atmospheric ride. The addition of the game's Japanese subtitle should be a clue about what you're getting -- a game that is at once familiar and fresh for a genre that's seeing a resurgence of interest. Aside from a few token references, the game represents a clean break with the convoluted bioterrorism story laid out in previous numbered entries. Ditching familiar faces, it instead follows everyman Ethan Winters in search of his wife, who vanished some years ago. An urgent message leads him to a rotting plantation in Louisiana where he's promptly kidnapped by an unhinged hillbilly family that is hiding a big secret. It's a far cry from the stomping, bombastic "Resident Evil 6" which featured an exhausting copy-and-paste campaign and a nearly endless supply of generic monsters to mow down. But familiar Resident Evil tropes are here. There's a mysterious mansion brimming with traps and puzzles, methodical management of resources, scattered save rooms -- and, of course, bloody horror in the basement. The move to a first-person view does wonders to ratchet up the tension that has been absent during the series' action days. The game is blessedly short on cheap jump scares, instead relying on the fear of what might be waiting around a corner or at the end of a hall. Then there's the ever-present danger of the game's antagonists -- members of the mutated and monstrous Baker family. They often show up at the most inopportune moments to stalk you through the halls. And with limited ammo to spare, you'll have to use the environment to your advantage if you want to make it out alive. Obvious film influences spring to mind: "Texas Chainsaw Massacre" to be sure, but I also see shades of 2006's cult hit, "Slither" -- especially as the game quickly pivots from backwoods culture clash to creeping body horror. The setting brings to mind the fetid swamps of 2005's "The Skeleton Key." Much also has been made of the game's surface similarity to the PS4's now-canceled "Silent Hill" reboot, but I'm not sure how much of this is a case of inspiration vs. concurrent design goals. The game's closest game analogue is 2014's "Alien Isolation," with the omnipresent xenomorph being replaced by the practically immortal Baker family. And of course, shades of the terrifyingly tense "Amnesia: The Dark Descent" -- which arguably kick-started the current cultural interest in horror games -- are immediately apparent. Dripping with atmosphere, the game nails its lo-fi video horror aesthetic. Mutated rednecks in the bayou? If all of this sounds somewhat campy, that's by design. Gleeful nods to horror movies abound, heightened by the low-fi video aesthetic. An early boss battle features a chainsaw duel and "Evil Dead" quotes. Some fans may bemoan the series’ departure from its "serious" survival horror roots, but "Resident Evil" has always reveled in its cheesy horror setting. But this may be the most refined Resident Evil entry to date. The game is a master class in teaching new skills and then switching them up just as they become boring. The result is a horror game that never outstays its welcome, a breath of fresh air in a genre fraught with 30-hour padded campaigns. There are some missteps, story being one of them. You could argue that storytelling has never been Capcom's strong suit and that's still apparent, although the game has thrown off the bulk of the series' dead weight. Don't look for clear answers to some of the game's singular oddities because at most you'll find answers that should sound familiar to any passing horror fan: conspiracy, infection, evil little kids and villains that miraculously return from the dead for one last scare. Although the graphics should be praised for their realism, texture streaming can be hit-or-miss. Maybe that's par for the course in a game where everything is covered in mud, blood and viscera. There are moments on sprawling later levels where I find myself roaming the halls and wondering what my next objective is, but I'm willing to chalk these up to overlooking clues in the dark environments. Taken as a whole, these flaws aren't enough to detract from the game's strengths. The voice acting, gunplay, graphics and movement are all top-notch. Sinister swamp-dwelling cannibals aren't the only dangers on the bayou in Resident Evil 7 Biohazard. A quick note on virtual reality: "Resident Evil 7" can be played through in its entirety on PlayStation VR, which may be a first for a major game franchise. I don't own a PlayStation VR, so I'm unable to comment. I also played through the game on an original PlayStation 4 but there are some enhancements on the newer PlayStation 4 Pro model including 4k resolution and high dynamic range graphics. Regardless of these add-ons, the game's rotted gothic beauty ran beautifully in its base incarnation -- and at a surprising 60 frames per second to boot.